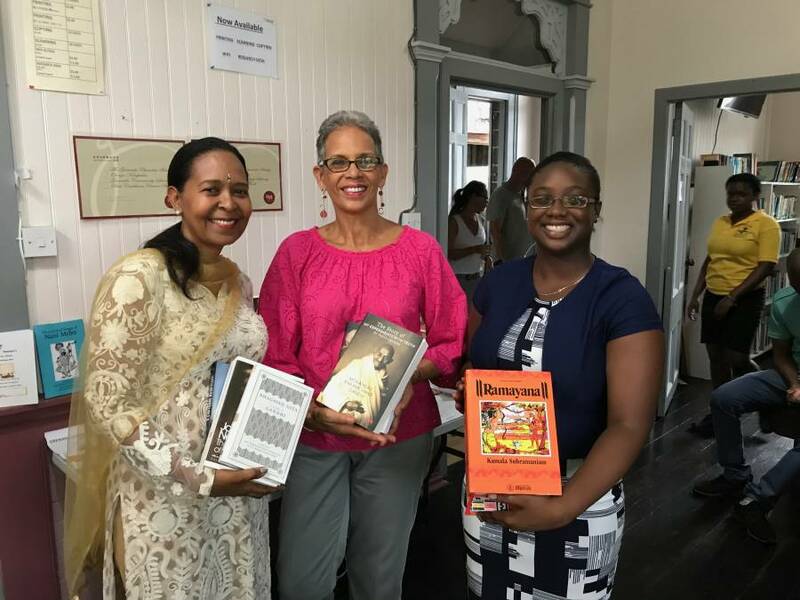 The Honorary Consul of India to Grenada, Shadel Nyack Compton was delighted to present a collection of Indian books from the Indian High Commission to Trinidad, to the Grenada Community Library and Resource Center on 18 October. The donation coincided with the library’s Open House activity, to increase visibility and membership. Chairman of the Board of Directors, Cheryl Kirton, accepted the donation on behalf of the library and registered her thanks to Indian High Commissioner Biswadip Dey and the Government of India for this notable contribution, and for recognising the work of the library. She welcomed with enthusiasm this new genre of books, that will widen the knowledge of India within the present membership, and also encourage new membership from within the Indian community. The Honorary Consul went on to say that she looks forward to an ongoing positive bond between our nations and she commended the library as being the only public library offering our young people a place to enhance their education and an excellent service to our communities. Nyack Compton then thanked the library for accepting the donation, and for its wiliness promote a better knowledge of our Indian heritage in Grenada. During the activity, the Honorary Consul shared information about two cultural and educational opportunities for Grenadians offered by the Indian Government – the Indian Technical and Educational Co-operation (ITEC) and the Know India Programme (KIP). Grenadians are strongly encouraged to apply to the programmes. This donation of books to the people of Grenada is the latest initiative from the Indian High Commission aimed at providing educational tools, increasing knowledge of India, and building closer cultural links with Grenada.